Mussels and clams on pasta. Mussels and clams can make a satisfying and delicious meal when you crave shellfish. Steaming mussels and clams requires an adequate amount of preparation time, but little cooking time. Try the following steps for a tasty shellfish meal. Start with about 3 pounds of clams and mussels. Scrub your clams and mussels with a stiff brush under cold running water. Discard any clams or mussels that do not close when you tap the shell. De-beard the mussels by puling the threads from the shell. Soak the clams and mussels in a mixture of 1/3 cup salt to 1 gallon of water for 20 minutes. Drain the water, then repeat this step two times. Place about 1 cup of water in a large stockpot. Bring the water to a boil over high heat, then add the clams and mussels, cover the pot, and steam for about 5 to 7 minutes or until the claims and mussels have opened. Remove the mussels and claims from the pot with tongs. Cut the steamed clams and mussels out of the shells with a utility knife and serve. For additional flavor, try using garlic and cooking wine. Before steaming the clams, saute a few cloves of garlic in olive, oil then add about a cup of white wine. Add the shellfish, cover and steam until shells open. 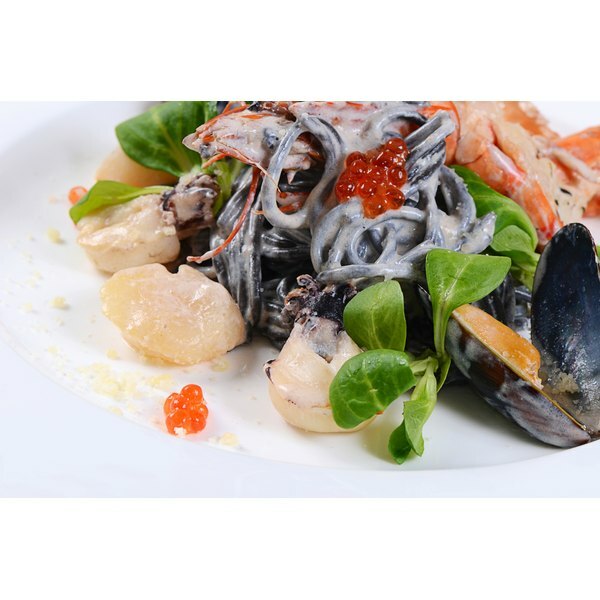 You can serve the shellfish over pasta or with melted butter, a lemon wedge and crusty french bread. For proper food safety, the Food and Drug Administration recommends that clam and mussels be steamed in their shells for at least four to nine minutes after water reaches a full boil. Be sure to discard any clams or mussels that do not open during cooking.